I chose to dress up this year (not necessarily Cosplay, but show my “comic book spirit” if you will) so I put on my cape and headed down to LA for the weekend. 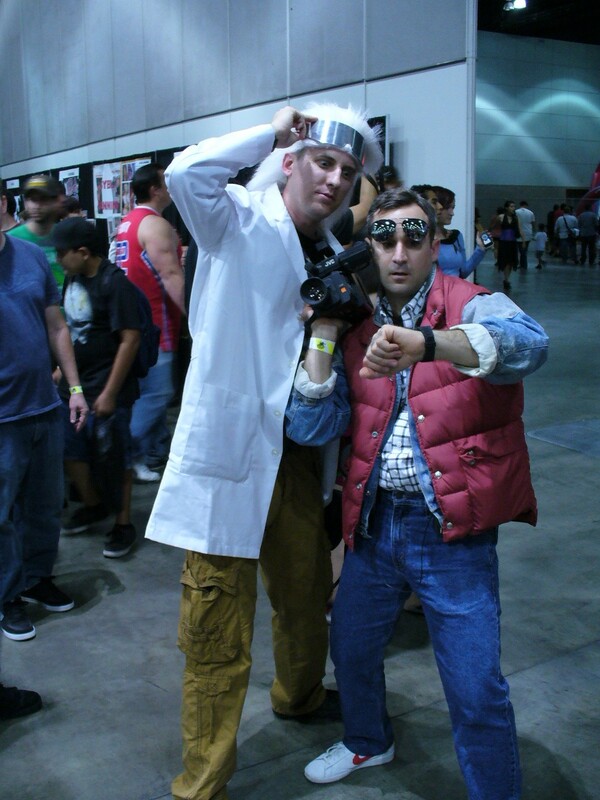 This was the second annual Comikaze and I was looking forward to the improvements on last year’s show. I lucked out on parking (unlike many other attendees) and found a $7 parking lot a couple blocks away. 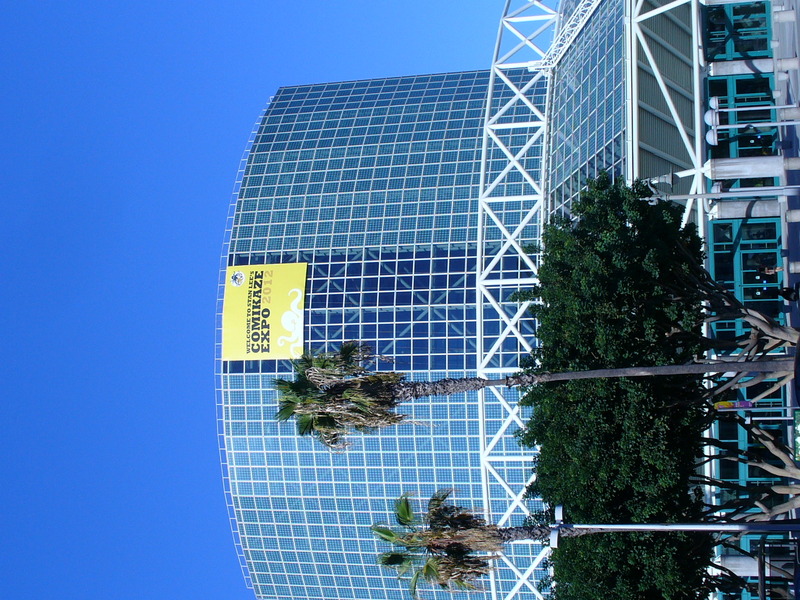 After figuring out the line situation (more on this in the Comikaze Sum Up in a couple days), I was ready to get into the exhibit hall floor and check things out. 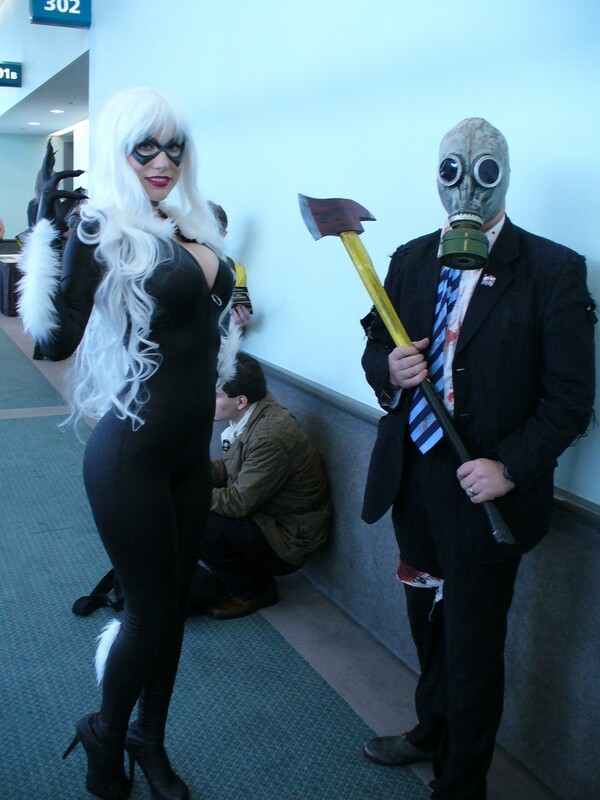 Immediately upon entering its clear to see that this IS Comikaze. There were banners in every direction with their logo and the main stage could be seen from anywhere on the floor. The easiest way to tackle this room was to walk from end to end. Starting out on the far side I was able to catch a live Quidditch match going on from the U.S. Quidditch organization and also passed the massive Star City Games’ area full of geeks playing their favorite card/deck games. 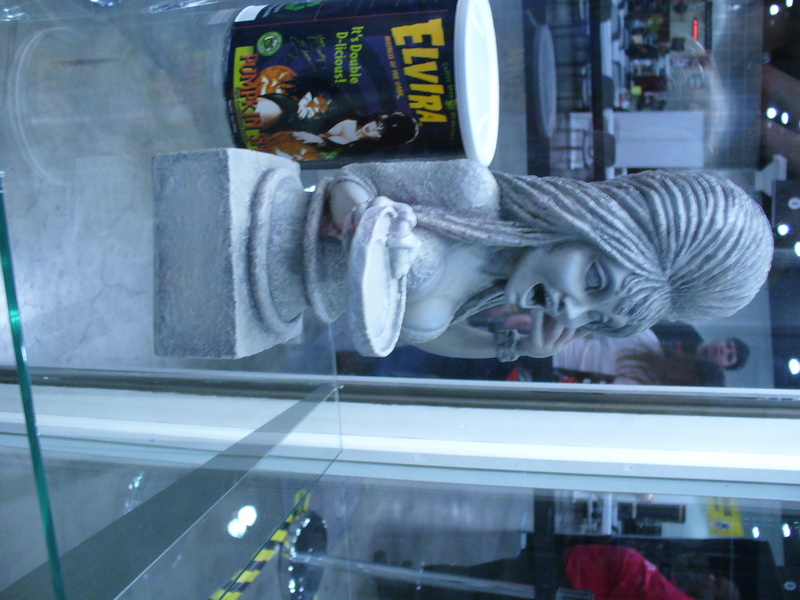 The next big displays were the Elvira and Stan Lee Museums. Both were filled with memorabilia associated with the associated famous personality. Some great and unique items could be found in both areas and this was a cool thing to see at a convention. Then it was time to venture through the hundreds of vendors, artists and exhibitors. 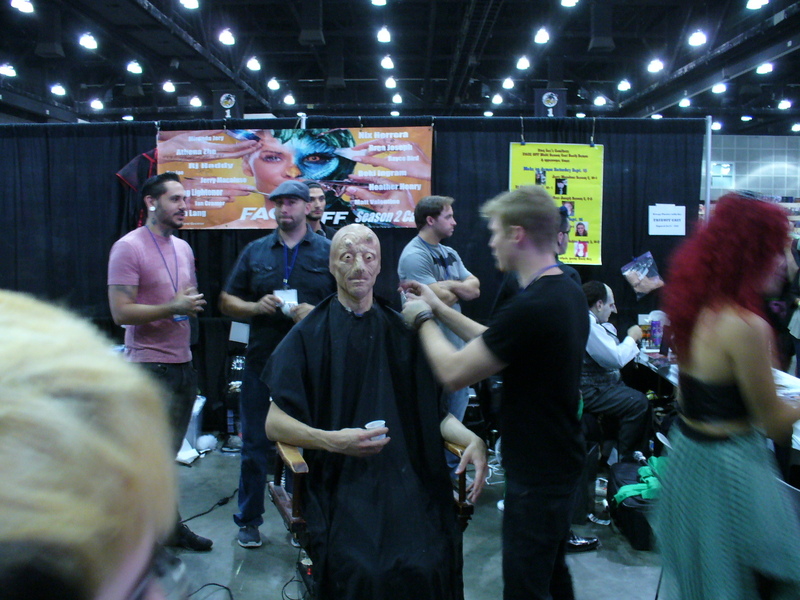 On the opposite end of the floor, was the Zombie Apocalypse course where fans could pay to be chased by Zombies as well as a booth featuring cast from the SyFy show FACE OFF doing makeup and showing off their skills. The zombie course was enormous and looked like fun. I got a bigger kick out of sitting on the sidelines watching people be chased through inflatable obstacles by creepy looking zombies. Still didn’t feel like it was worth the $30 price of admission though. The FACE OFF booth was awesome and something you wouldn’t normally see at a comic expo. There were three artists working on different projects or characters while fans watched and snapped photos. Finally, I made my way over to the main stage to catch a couple of the presentations. The main stage on the exhibit hall floor was more like a panel room but without a seating capacity. 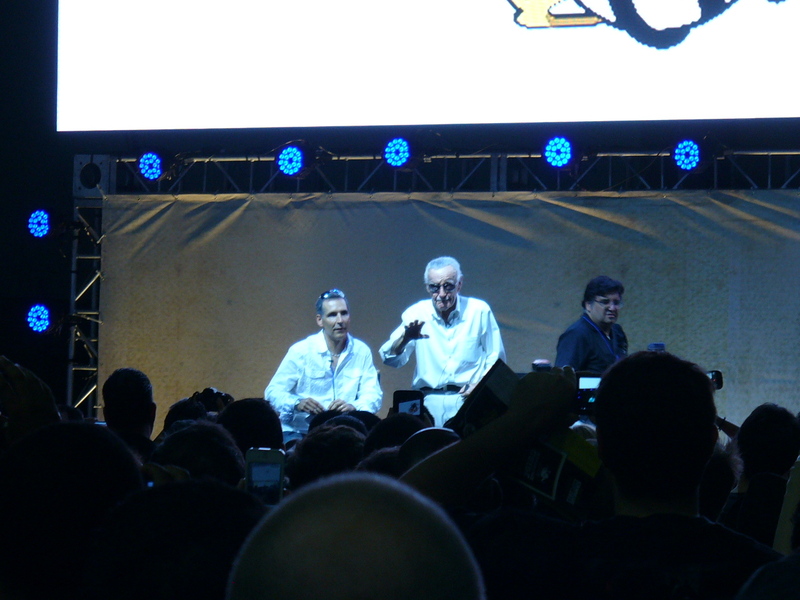 Fans surrounded the stage as the likes of Adam West & Burt Ward, Stan Lee, Todd McFarlane and many more took the stage to answer fans questions and tell stories of their lives. It was really cool to see Stan Lee on stage talking about his work in comics, television and now the internet. Minus a few technical glitches, previews for some of the shows on Stan Lee’s YouTube channel were shown along with a couple of his famous cameos in the recent Marvel movies. Lee even mentioned that he already knows about his cameo for THOR 2 hitting theaters next Fall. In addition to famous celebrities, the stage also featured independent film cast and crew promoting their new movies and even hosted the BATGIRL:SPOILED, fan film stunt crew that performed live on stage! The way the stage was set off from the floor allowed for crowds to watch without bothering or blocking the vendors and was a lot better than last year’s panel rooms and stages that interrupted the exhibit hall floor. While walking the floor I was able to grab stickers and postcards for several vendors, movies, and exhibits but there was very little SWAG available. I lucked out and won an Avengers iPhone case for knocking a couple targets down with a NERF gun (this will be added to the prize pile for a PanelCast episode giveaway, so make sure you’re listening up in future episodes!). The SWAG I did get included a Deadpool button from the SuperHeroStuff.com booth, World of Warcraft cups from the Comikaze group, SUSHI GIRL chopsticks, a DUST UP eye patch, and a limited edition Comikaze Floppit that can be worn on a lanyard, as a ring or used to decorate shoes/backpacks/etc. So not a total loss in the SWAG department but not the loot I was hoping for. After touring the floor it was time for some panels. The list of panels was long this year and most seemed to be fan-ran discussions and Q&As about whatever nerd obsession they were passionate about (Firefly, Anime, Cosplaying, Steampunk, etc.). While on the floor I came across several independent film booths and was convinced to go check out their panels in the afternoon. The next panel I sat through was a screening of the films that won the Elvira Horror Hunt contest for scariest independent short and feature films. Introduced by Elvira and Peaches Christ the two films were OTHER (short film) and FOUND (feature film). 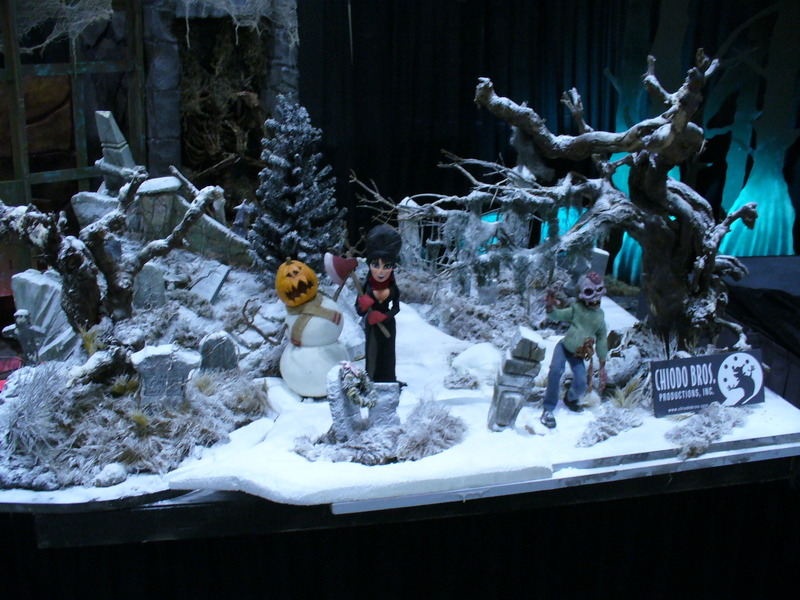 OTHER was made by Daniel DelPurgatorio for $3000 and has won numerous awards. It follows a doctor in a race to preserve life that ends up backfiring. Check out more details on www.facebook.com/OTHERTHEMOVIE. FOUND was made for $8000 by Scott Schirmer and follows a young boy who makes a terrible discovery in his older brother’s closet. What will the kid do about what he’s found and what impact will it have on his developing years? Check it out on www.facebook.com/foundmovie. Lastly and my most anticipated panel of the day was the screening of SUSHI GIRL. The film has some very recognizable faces, including the Candyman – Tony Todd, and Luke Skywalker – Mark Hamill! This horror thriller has some serious violence and gore and the effects/make-up were so awesome. The story constantly has the audience guessing as the plot plays out and the production held back none of the violence; and yes there is a naked sushi girl in the film. This is one of the best things I have seen Hamill in since Star Wars. You will recognize several of the other cast members from big AND small roles they have played over the years. It will be available just in time for Thanksgiving (finish your meal before watching though) “On Demand” and in select theaters come January 2013. Check out their Facebook page for more information, www.facebook.com/sushigirlmovie. Overall, Day 1 was great and relatively stress free compared to other comic book conventions (cough, cou…san diego…gh…cough!). I had a lot of fun talking to some comic book artists and checking out some of the scariest/goriest movie footage I have ever seen. I can’t wait for tomorrow. 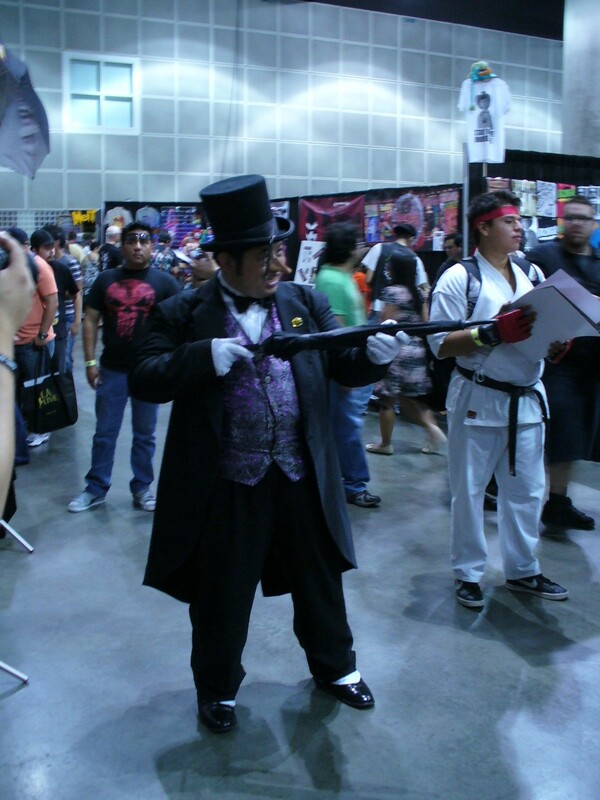 Check back to ForbiddenPanel.com for more on Comikaze as well as other great comic book and pop-culture news.